A smart little Macbook cable organizer solution. 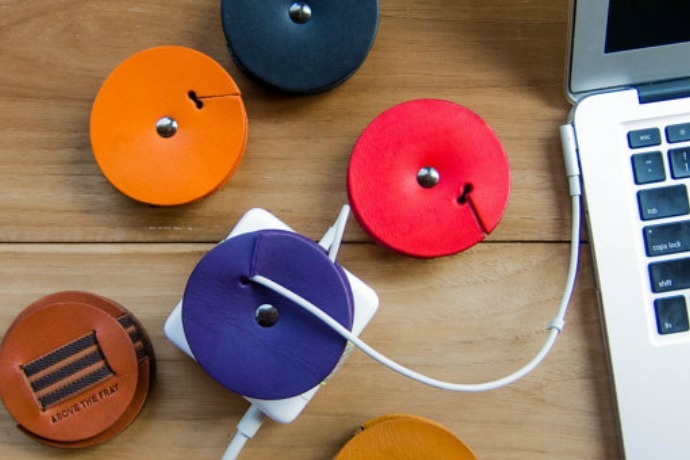 A smart little MacBook cable organizer for those of us familiar with the term, cord spaghetti. Hi, nice to meet you. I’m one of those people whose cord always somehow slips off my laptop adapter in my bag, making me that person next to you in the airport lounge or the business meeting, pulling out the big, embarrassing handful of cord spaghetti, and trying to untangle it without one iota of grace. So these MacBook power adapter cable managers? Let’s just say they are calling my name. Related: The cord accessories with the best names that could finally get you organized. 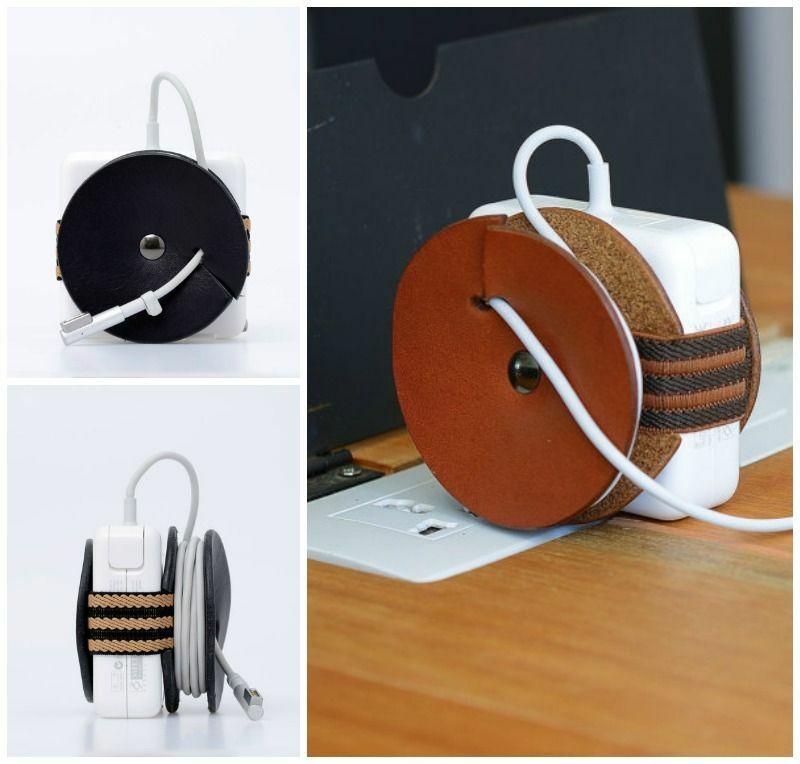 The premise is simple: PowerPlay is a handmade leather accessory attaches with elastic, to keep the charging cable wound neatly and secure. It’s a smart alternative to the built-in cable organizing wings on the adapter which hey, maybe they work for you but not so much for me. It’s not a whole other thing you need to remember to bring with you either; you can attach it to the brick once and keep it there. Of course you still have to deal with wrangling the big fat adapter cable that plugs into the wall, but you’d have to do that anyway. It comes from Above the Fray Co, a Bangkok based Etsy shop that gets really terrific reviews for their handmade tech accessories. And it comes in seven colors including some classic neutrals like brown and black that I really like. Father’s Day gift, perhaps? Also look around the shop for more attractive solutions for cord tangles from your other cables or those pesky earbuds. Of course I’m still waiting for the day that everything in my life will powered wirelessly with no cord tangles or battery drain issues to deal with, ever. Until then, these should do.